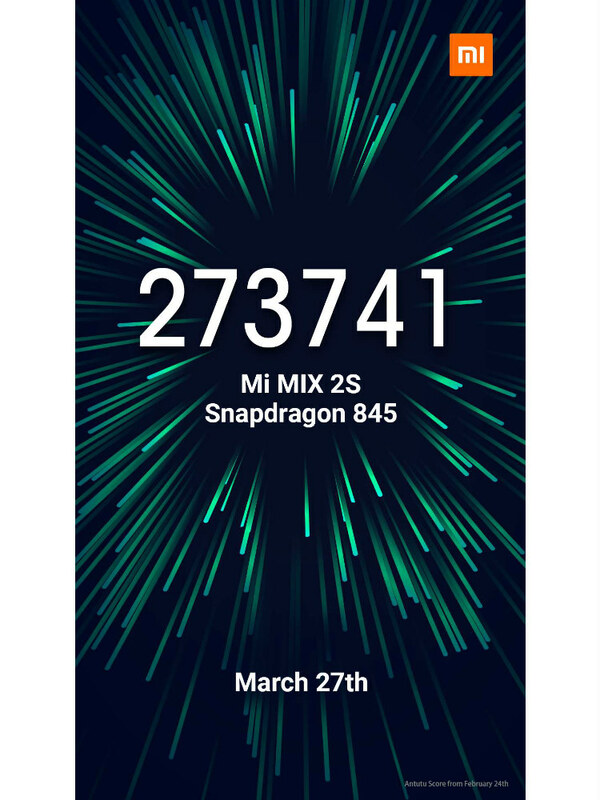 Xiaomi today took to its social media channels to confirm its rumoured Mi Mix 2S bezel-less phone. The teaser image confirms the product name and the Antutu score with the underlying Snapdragon 845 chipset, which comes as a no surprise. According to GSM Arena, the Mi Mix 2S will feature a 5.99-inch Full HD+ 18:9 display, 8GB RAM and 256GB of internal storage. The phone will also run on MIUI based on Android Oreo and will take advantage of some of Oreo features like picture-in-picture mode and lots more.